Hi! I had a great weekend in the wine country with the family. It was very relaxing -- an internet outage made sure of that! Hehe! Today I have a card I made for the Taylored Expressions sketch challenge. I used Sketch #152 which is a really fun sketch. And I used some new Teresa Collins patterned papers I got last week, such pretty colors. I pulled out a TE stamp set I haven't used in a while - Dream Big. It's a great set for graduation cards. What great colors Linda! I need to pick up this paper. It's perfect for many of the new spring images. Wonderful take on Taylor's sketch!! Thank you for playing along with TESC! 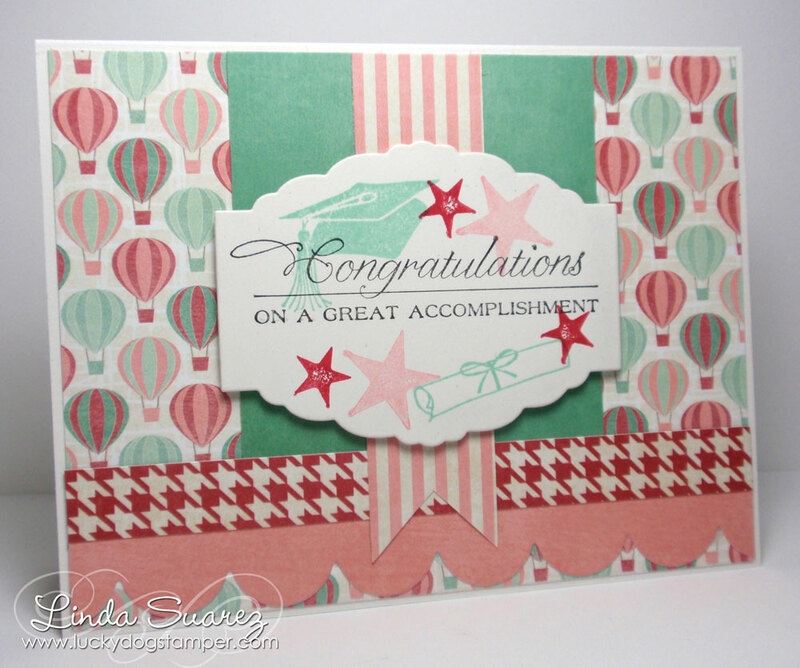 Linda awesome card! 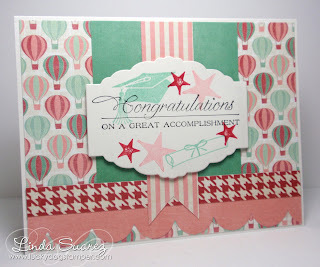 I love your colors and the patterned paper is great together!